In just the first two months of 2010, devastating earthquakes rocked Haiti and Chile, a University of Alabama in Huntsville professor stood accused of gunning down colleagues at a faculty meeting and a reportedly disgruntled pilot flew his private airplane into an Internal Revenue Service building in Austin, Texas. These tragedies ranged in scope and affected people in different states and countries, but one common denominator was the trauma they no doubt left in their wake. While the causes of trauma can vary widely, Zalaquett says, it is important to recognize when an event implies exposure to an extreme traumatic stressor. These events generally involve serious injury or the threat of death to the individual or witnessing an event that involves death, injury or threat of another person. Trauma can also develop when a person learns about the unexpected or violent death of, or serious harm or injury to, a family member or close associate, he adds. “There are many traumatic events that do not meet the criterion of threatened death but are like ‘living death,'” adds Webber, who, along with J. Barry Mascari, served as editor for Terrorism, Trauma and Tragedies: A Counselor’s Guide to Preparing and Responding, the third edition of which was recently published by the ACA Foundation. Individual complex traumas such as sexual and physical abuse, domestic violence, ongoing harassment or bullying can fall into this category, Webber says. Some of the signs and symptoms associated with trauma-induced stress include sleep disturbance, emotional instability and impaired concentration, Zalaquett says. When people have become emotionally or psychologically overwhelmed, they often protect themselves through denial, disbelief and dissociation, he adds. Traumatized individuals can have difficulty performing regular duties, might experience flashbacks or nightmares and may respond to events that remind them of the trauma. “Flood victims, for example, may demonstrate very strong emotional responses to rain, storm clouds, the sound of running water or the sight or smell of mud,” he says. Zalaquett says counselors should also be aware that clients might express their emotional distress physically, complaining of headaches, backaches, stomachaches, sudden sweating or heart palpitations, constipation or diarrhea, or susceptibility to colds and other illnesses. Not everyone exposed to a traumatic event develops PTSD or other serious disorders, however. Webber notes studies have shown that the majority of people in mass disasters experience personal and spiritual growth and create new existential meaning as a result of their experience. Recognizing traumatic stress symptoms and cultural factors associated with survivors is key to developing appropriate therapeutic interventions, according to Zalaquett. Techniques vary but can include challenging irrational beliefs, correcting distorted thoughts and biases, role-playing, systematic desensitization, exposure with response prevention, relaxation training and biofeedback. But most important, he says, are the goals of counseling. Use metaphors that can be seen, heard and felt to help clients become attuned to where distress is felt in their bodies, she says. For example, have the client visualize the trauma as a pressure cooker with the toggle shaking and ready to blow. Use grounding techniques to help clients stabilize. For example, Webber says, ask clients to name five non-distressing objects they can see, five non-distressing objects they can hear and five non-distressing objects they can touch. Integrate this exercise with deep breathing. Consider eye-movement desensitization and reprocessing therapy and brainspotting. “(A counselor) must have training, but I can’t imagine trauma treatment without these brain-based power therapies that reduce flashbacks and intrusive memories quickly,” Webber says. Have the client make a scene in the sand or draw a picture of something scary and then talk about feelings. “Then do whatever you want with the picture to get rid of the feelings,” she says. One major difference in treating trauma as opposed to other issues is that the potential for primary or secondary traumatization and compassion fatigue in counselors is very high, Webber says. “Counselors’ greatest asset is our empathy. It is also our greatest liability. Counselors may show signs of traumatization, experience fear and pain and personal distress by their exposure to the client’s trauma story.” Counselors can combat compassion fatigue and traumatization in part by developing and following through with a self-care plan and by taking time for rest and relaxation, she says. Treating trauma can also resurrect a counselor’s own traumatic experiences, Webber says. She recommends that counselors do their own trauma work with a trained therapist before working with others. If counselors are impaired or vulnerable, she adds, they should refrain from treating trauma clients. When it comes to the relationship between first responders and trauma, Brian Chopko says guilt plays a leading role. A counselor and assistant professor in the Department of Justice Studies at Kent State University at Stark, Chopko vividly recalls one client in her early 50s who responded to an emergency but ultimately couldn’t save the lives of two people. “She tried so hard to save them that she was almost killed herself,” says Chopko, explaining that the first responder sustained a serious injury during the rescue attempt. The woman then developed PTSD following the event. “One of her main complaints was guilt — guilt that she didn’t do enough to save these two people,” says Chopko, a former police officer and a current volunteer deputy sheriff. He asked the client to rate her guilt on a scale of 1 to 100, with 100 being the worst. “One hundred,” she responded. People respond differently to trauma, Chopko says, so the crucial role of the counselor is to discover how a particular trauma has affected a particular client. People can go through the same event and have two totally different experiences, he says. After identifying the guilt from which his client was suffering, Chopko and the first responder were able to find success in treatment. After their work together, the client reported her guilt had dropped from 100 to a 2 or a 3. One intervention developed specifically to help first responders is Critical Incident Stress Debriefing (CISD). With this model, all first responders involved in the traumatic event are brought together afterward to debrief. Although research has not been consistent in showing that CISD is successful in preventing future symptoms, Chopko says it offers counselors a chance to get their foot in the door with first responders. Mental health facilitators can lead the debriefings, emphasize to first responders that what they are feeling is normal and then offer them resources for additional help, he says. Another way for counselors to reach this population is to get involved in programs that train first responders in mental health issues or crisis intervention. If a counselor presents the training, he or she might be able to provide an additional training segment on post-traumatic stress, Chopko says, thus beginning the normalizing process for first responders. Most people experience only one or two traumatic events in their lifetime. The challenge for first responders, Chopko says, is the sheer number and wide range of traumas they will experience, with a cumulative effect taking place over the years. While it is very difficult for first responders to avoid that circumstance completely, Chopko says, counselors can teach them healthy behaviors for dealing with ongoing stress, including relaxation techniques, breathing exercises and physical exercise. Counselors should emphasize to first responders the importance of practicing those techniques throughout their careers, not just in moments of crisis, Chopko says. With simultaneous combat zones in Afghanistan and Iraq, there is no shortage of soldiers who have endured traumatic experiences. Trauma can appear at a soldier’s every turn, says David Fenell, professor and chair of the Department of Counseling and Human Services at the University of Colorado at Colorado Springs. Among the examples are repeated exposure to life-threatening combat, witnessing the death or wounding of a comrade, an attack by an improvised explosive device or being assigned to duty in which the soldier is responsible for assisting the wounded. Establish a relationship based on trust. “My military background is invaluable in this regard with combat veterans and their families,” Fenell says. Ensure that the client accepts and begins to believe that he or she will improve with time and supportive therapy. Engage the family in treatment. “The family often begins acting differently around the traumatized client, and this typically makes the client feel worse rather than better,” Fenell says. “Get the family on board and in treatment with the client so that all are emphasizing a strength-based, ‘this will get better’ mind-set.” It’s also helpful to collaborate with the client’s military unit so that it will be positively involved as well, he says. In the microcosm of a K-12 school community, traumatic events can take different paths based on who is affected and how many students are affected, says J. Barry Mascari, assistant professor and chair of the Counselor Education Department at Kean University in New Jersey. “Too often, schools treat everyone as if they are impacted to the same degree and inadvertently bring more students into the complex mix than is necessary,” he says. Webber says returning to routine — reopening school and restarting classes — as soon as possible is important. Sharing should be encouraged in classes rather than large assemblies, she adds, because counselors and teachers can more readily identify those who might need additional support in smaller settings. At a university, where there is less structure and containment, it is more difficult to provide immediate support and contact from teachers and counselors, Webber says. Drop-in centers in dorm lounges, dining rooms and other areas can help to decentralize response efforts. From the recent earthquakes in Haiti and Chile to the 2004 Indian Ocean tsunami to the domestic devastation of Hurricane Katrina, natural disasters can strike quickly, but their impact is often enduring, altering the lives of large groups of people. While those who have lost homes and loved ones are most affected, those trying to help can be greatly impacted as well. West-Olatunji, who lived in New Orleans for 14 years and raised her children there, recalls an experience in the aftermath of Hurricane Katrina in which her knowledge of the people and community became a lifeline. She was working with first responders from the area and their families, who were living temporarily in intact communities aboard cruise ships off the coast of New Orleans. While she was there, people were beginning to move off the ships and into trailers, but many were very resistant to the idea. Tasked with providing communitywide intervention, West-Olatunji knew from past experience that the people of New Orleans were social. She wanted to get them more comfortable with the idea of moving into the trailers, so instead of sitting inside one of the models and waiting for people to come in and ask questions, she took a chair and sat outside. She spoke to people passing by as if she were sitting on her front porch, and then she’d invite them in. As they sat inside the trailer with her, West-Olatunji remembers, they could see it wasn’t so bad. “That’s an example of using knowledge of the community … as a vehicle to get them where I want them to be,” she says. When one works with adults affected by a disaster, West-Olatunji says restoring regularity in their daily activities is important. “This intervention aids in the recovery process in that it reestablishes some predictability to their lives. An example would be attempting to eat meals at prescribed intervals on a daily basis or going to bed at the same time each evening. Ritualizing the daily routine is helpful in restoring a sense of safety and grounding individuals in reality.” She adds that encouraging clients to engage in reflective or meditative activities can also be helpful, as can participating in communitywide or family rituals to aid the grieving process. Terrorism, Trauma and Tragedies: A Counselor’s Guide to Preparing and Responding, third edition (order #72892), can be ordered directly through the ACA online bookstore at counseling.org/publications or by calling 800.422.2648 ext. 222. The cost is $29.95 for ACA members and $39.95 for nonmembers. The book, edited by Jane Webber and J. Barry Mascari, features chapters written by Webber, Mascari, Carlos Zalaquett and David Fenell, among many others. Disaster Mental Health and Crisis Stabilization for Children (order #78205), a live demonstration DVD presented by Jennifer Baggerly and produced by Microtraining and Multicultural Development, may also be ordered directly through ACA. The cost is $149. ACA also offers a Traumatology Interest Network so counselors can share experiences, ask questions and offer tips and techniques for treating trauma. For more information, contact the interest network’s facilitator, Karin Jordan, who has been working in Haiti, at kj25@uakron.edu, or Holly Clubb of ACA at hclubb@counseling.org. It was 25 years ago when Bette Stewart’s husband was diagnosed with a mental illness. “I felt angry and alone, like my life was coming apart at the seams,” she recalls. “I asked the psychiatrist for help. I know now that if (my husband) was an alcoholic, I would have been referred to Al-Anon (an organization that offers help and support to family members of problem drinkers). But the doctor knew of no place to send me.” Fortunately, Stewart found her way to a support network run by the National Alliance on Mental Illness (NAMI), an organization that serves individuals and families impacted by mental illness via education programs and political advocacy. Today, she coordinates NAMI support groups throughout Maryland. Families face substantial adjustments when a loved one is diagnosed with a mental disorder, be it getting accustomed to the side effects of medication or the lifestyle changes needed to maintain emotional stability. Yet many family members find themselves cut out of treatment plans, particularly if the diagnosed individual is an adult. As a result, the families of those who are mentally ill may feel isolated and alone as they struggle to make sense of the changes. In such situations, therapy or support groups may be beneficial, but many in the counseling profession are unaware of how to reach beyond their clients to those family members in need. Joyce Burland experienced this challenge in her own life. Her sister was diagnosed with schizophrenia in the 1960s, and her daughter was diagnosed with the same condition in 1980. “We were given no professional advice in 1960, and nothing had changed in 1980. 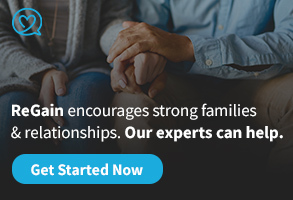 I thought, ‘This can’t go on.’” So Burland, a psychologist, joined NAMI and wrote the curriculum for a course that would help family members find information and support. NAMI now offers the free peer-education program, Family-to-Family, in all 50 states. Burland currently serves as director of NAMI Education Training and Peer Support programs. NAMI’s Family-to-Family program takes a largely educational approach to supporting family members. The groups, led by former participants who have been trained as presenters, feature information sharing on a variety of topics, including diagnosis, medications, current research, community resources and mental health care advocacy. Group members also hear about the lived experience of those with mental illness and are prepared to face the possibility of crises and relapse scenarios. The program also covers self-care awareness and coping strategies for the group members themselves. Opening themselves to therapy or a support group may not be easy for family members. Some have soured on the thought of therapy or counseling after trying to secure care for their loved ones. Describing the support group community as a “secret society,” Burland explains that it may take years for certain individuals to willingly go to a meeting where they might be identified as having a family member with a mental illness. Stewart adds that mental health care providers may have little understanding of the complicated support needs of clients’ family members. “Some of the assumptions are that (mental health care) consumers don’t have families, or that families are part of the problem or that families aren’t going to be interested,” she says. Stewart works as a training specialist at the University of Maryland School of Medicine’s Evidence-Based Practice Center in Baltimore. She has been involved in a study measuring the efficacy of the Family-to-Family program that reflects the lack of awareness in the provider community. Her hope is that more clinicians will consider how helpful an informed family can be to a loved one’s overall progress. She mentions the example of one Family-to-Family participant, a man in his 80s who had been locking horns with his mentally ill son for more than 20 years. When the son turned up every holiday in dirty clothes or with body odor, a fight would inevitably result. But the course provided the father with some insight into the challenges of personal hygiene for someone with his son’s diagnosis. “During a class he sobbed, ‘Why didn’t someone tell me this before? We could have avoided so many miserable times.’ Later, he described the first happy holiday dinner in years because he understood that the best his son could do was to be there on time. They could deal with the fact that he had dirty clothes, whereas before, (the father) would just get angry. People are never too old to learn something that will benefit them,” Stewart says. When NAMI was established 31 years ago, its original purpose was to make up for the lack of support and information offered to families by the medical community. As such, some NAMI members carried a reasonable amount of guardedness concerning providers, who for years had created a perception that clients’ mental illnesses were generally connected to poor parenting and childhood abuse. It’s no surprise that when family members felt marginalized and blamed for their loved ones’ struggles, they were wary of interacting with the professional community. But with a better understanding of the biological factors involved in mental illness, some mental health advocates suggest that today’s providers can do much to repair the divisiveness of the past by taking on family support initiatives. Among the benefits to counselors are introducing their traditional services to a new audience and deepening their understanding of the impact of mental illness on the family. Betsey Neely began looking for mental health resources when the youngest of her three adopted children was showing signs of conduct disorder in school. An Atlanta attorney and single mother at the time, Neely found a local NAMI chapter and took part in Burland’s Family-to-Family course. While pursuing her degree, Neely, an American Counseling Association member, devised a support group for her practicum at a community mental health center. “I saw there was no help for the families, and I got reenergized,” says Neely, who currently runs a consulting practice that helps clinicians learn how to be better witnesses in legal proceedings. “I think the time is right now to bring providers into this education movement. There are educators and providers who would be willing to cooperate with NAMI as a family advocacy group, to bring the best of both worlds together,” says Neely, who adds that the waiting lists to join some advocacy-related support groups can be long. 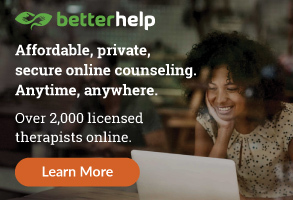 “We just don’t have enough volunteers to offer as many (support groups) as are needed, and clinicians can be trained by NAMI and other groups to really understand members’ needs.” Specifically, NAMI’s Provider Education course and a similar program offered by the Depression and Bipolar Support Alliance (DBSA) both feature the perspective of the “mental health consumer” and teach non-blaming ways of reaching out to families and clients. “I would not say that providers can always do a better job (of leading support groups), because unless you can make the experience useful and relevant to the family that’s suffering, all the education in the world gets you nowhere,” Neely says. “But I do think providers could do an excellent job assuaging the guilt feelings and helping families keep balance in their own lives.” She adds that trained counselors can understand group processing in ways that peer educators may not, thus allowing counselors to help move the sessions toward more productive outcomes. Likewise, Jessica Swope, a psychology associate with Psych Ed Coaches in Alexandria, Va., believes her professional training lends itself to attending to subtle group dynamics. She currently facilitates a free monthly support group for parents of children diagnosed with attention-deficit/hyperactivity disorder through CHADD (Children and Adults with Attention-Deficit/Hyperactivity Disorder). “A trained therapist who doesn’t have the experience of a family member with that particular issue can be useful because that one person is in the room not thinking about things through the lens of their own experience. 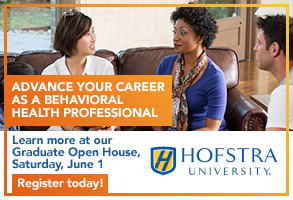 Therapists are able to provide a sounding board where people can really be heard,” she notes. This type of group work is probably not the space for counselors to make financial gains; these families are often struggling to make ends meet already as they fund their loved ones’ care. Swope says providing pro bono support services fulfills her ethical requirement to be of service to the community. Indeed, psychoeducation can be the key to reaching this population. Counselors may find members of support groups are more interested in learning about their loved ones’ illnesses and how they can help, while less interested — at least initially — in processing the emotional toll of the diagnosis on the family. At the same time, firsthand knowledge of how mental illnesses impact families can deepen both a counselor’s empathy and case conceptualization skills. 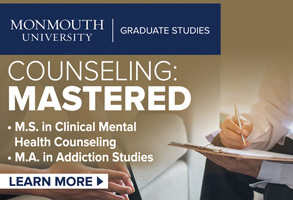 Provider education programs are offered through a variety of organizations, including NAMI, DBSA and the Substance Abuse and Mental Health Services Administration. Stacy Notaras Murphy is a licensed professional counselor practicing in Washington, D.C. Contact her at snmurphy@verizon.net. Fans of TV sitcoms may fondly recall Cheers as the friendly neighborhood bar in Boston “where everybody knows your name.” The regular denizens of Cheers descended the stairs to be enveloped by an unwavering sense of camaraderie. Of equal appeal to these characters, however, was the fact that the bar served as a refuge from the outside world. In truth, outside of a close network of other regulars, relatively few patrons of Cheers “knew their names.” The bar offered a certain sense of anonymity — a place where most other people wouldn’t possess any knowledge of their personal histories, their past mistakes, their baggage, their quirks. Even psychiatrist Frasier Crane frequented Cheers to escape his problems and, in some instances, his clients. Contrast that with the environment encountered by counselors who work in rural areas, where the phrase “everybody knows your name” is oftentimes a truism, not just a homey slogan. This life-in-a fishbowl aspect of rural counseling offers unique challenges that encompass ethical decision making, boundary issues and counselor self-care. For instance, says Lauren Paulson, a licensed professional counselor and American Counseling Association member who has conducted research on the topic, counselors in rural areas face greater pressure than their suburban or urban counterparts to serve as role models for clients, even when the counselor is not working. While Frasier Crane could step into Cheers without giving it a second thought, Paulson says drug and alcohol counselors who work in rural areas might question the advisability of having a glass of wine at a local restaurant. “A lot of the (rural) counselors I have talked to said they felt they needed to go out of town before they could truly let down,” says Paulson, a visiting assistant professor at Allegheny College and an adjunct professor at Edinboro University, both in Pennsylvania. Though the concept of multicultural competency has steadily taken on more import for counselors, both Breen and Paulson say there is a general lack of information about rural culture and rural counseling in the professional literature and in graduate counseling programs. It is essential that counselors practicing in rural areas understand and respect their clients’ cultural values and beliefs, many of which revolve around family, Breen says. For instance, Breen provides counseling services in a rural school because the area where she lives doesn’t have school counselors. In encouraging students to pursue their education past high school, she has learned the importance of involving families in these discussions. In many cases, these students will be the first in their families to attend college. Sometimes, Breen says, the parents are worried about who will take care of them if their sons or daughters leave the rural community and decide not to return. Other times, students voice concerns that they will not be accepted back fully into the culture even if they want to return after college. “That means using one of the strengths of their tight-knit rural communities and forming collaborative networks,” she says. “It’s crucial in a rural area to form relationships with the local general practitioner, other mental health professionals, school counselors and other disciplines.” She also recommends that rural counselors make use of peer networking and supervision and take advantage of opportunities to connect with other colleagues at conferences, through professional associations and through online directories. She would like to see the profession develop a central network to allow rural counselors to connect so they could provide support and guidance to one another. In Breen’s case, there are no doctors or similar professionals in her town. Instead, she collaborates most closely with a local pastor in discussing certain clients. Breen emphasizes that she always obtains signed permission from clients before working with the pastor, but because they generally view Breen and the pastor as primary caretakers of the rural community, clients normally welcome the collaboration. “We’re all there is here, and we try to help people get their needs met the best we can,” Breen says. Paulson says that’s one lesson some counselors in urban and suburban areas could most benefit from learning from their colleagues in rural areas — making the most of all the resources immediately available to them and building connections with other professionals. In many cases, Paulson says, rural counselors experience feelings of professional isolation because they do not have easy access to supervision, training, consultation or networking opportunities. Combine that with often heavy caseloads and the daily struggle to navigate boundary issues and maintain some sense of privacy within close-knit communities, and rural counselors can face increased risk for burnout, she says. That’s why Paulson, who wrote her dissertation on supervisors working in rural areas, continues to conduct research on strategies to help rural counselors compensate. “I love working and living in a rural area, and I wanted to provide ways to support these counselors and enhance the services they provide to their communities,” says Paulson, who is helping to implement a pilot study in her county on providing supervision to mental health workers in rural areas. Paulson and Breen both acknowledge that rural counselors often have to sacrifice half or even full days of work to access supervision and training. Paulson recommends that these counselors use technology to access webinars and online training whenever possible, in addition to pursuing training opportunities at the local, state and national levels. Both counselors would also like to see the profession do more to provide continuing education that focuses specifically on rural aspects of counseling. One educational resource that Paulson recommends is the electronic Journal of Rural Community Psychology (marshall.edu/jrcp/). In what ways does the rural setting help your counseling practice? In what ways does it challenge your practice? How does it change your work? How does it change your concept of the role of a counselor? How does your rural professional role challenge your personal life? What can you draw upon from your training that focuses on rural counseling? What kind of training do you need to look for that focuses on rural counseling? What kind of support do you have that focuses on rural counseling? What kind of support do you need to look for that focuses on rural counseling? Although rural counselors can face unique challenges, Paulson says, it’s important for them to focus on the many positive aspects of where they work and live, including the slower pace of life, the peace and beauty of their surroundings and the rich, deep relationships they develop within their communities. Each April, we celebrate Counseling Awareness Month. Rather than a single day on which elected officials pass a proclamation or make an announcement at a meeting of the city council, we feel that counseling is so special, so profound and so important to society that it really deserves more than just one day and more than one single action! Here are a few ideas. Perhaps you can gather with your local group of professional counselors and plan something for April that will call attention to the good things that you do. You can volunteer to do something that demonstrates counselors’ helping nature (such as house building with Habitat for Humanity or taking a group to work at a local food bank) or perhaps provide handouts at the local mall or farmers market about how counselors can help individuals. Some of you might choose to provide pro bono workshops at a community center or another gathering place on issues of concern to those who live in your town or city. 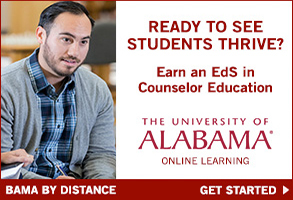 Also take some time to download our series of “Counseling Corner” columns that explain to laypeople what counselors can do to help their clients and students. If you are interested in these columns, go to counseling.org/Publications/CounselingCorner.aspx. Please feel free to use them in your community! If you work in a school or community agency, let others know that your facility exists and what it is you do, even as you continue maintaining the confidentiality of your students and clients. There are many possibilities during Counseling Awareness Month for publicizing the good that counselors do. For those of you who are able to “celebrate,” please e-mail me and let me know what you did! I want to personally thank the thousands of professional counselors who made plans to attend the ACA Annual Conference & Exposition in Pittsburgh in March. Our cosponsor, the Pennsylvania Counseling Association, has done a terrific job as our partner. From feedback heading into the event, I know that our attendees appreciate the networking, education and connections with resources that are always evident during our time at the conference. And, you know, it is never too early to start planning for next year, so I hope as many of you as possible will consider joining us at the 2011 ACA Annual Conference & Exposition that will be held March 23-27 in New Orleans!